If not, then it may be time to update. As more people are using their mobile devices as their main platform, having a mobile-friendly website has become essential. How do mobile users feel about their current online experience? What would they like to see improved? Google provided a survey to answer these questions. How do people feel about their current mobile experience? The following results from the Google survey show that mobile users are less than forgiving towards sites that are not mobile friendly. 67% of users said they’re more likely to purchase a product or service from mobile-friendly websites. 61% say that if they do not see what they are looking for right away, they will go to another site. 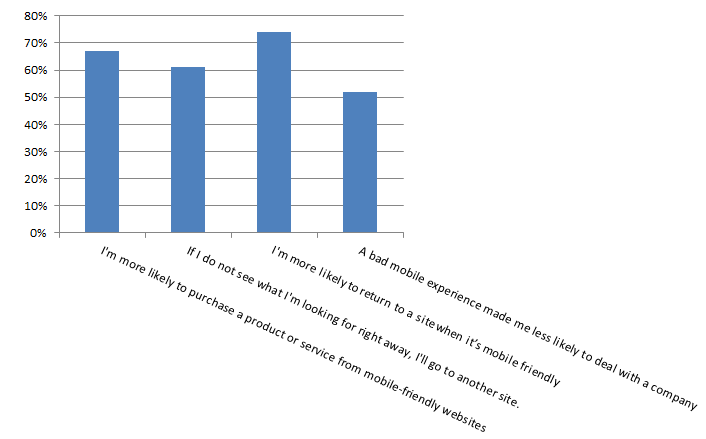 74% of users said they would be more likely to return to a site when it’s mobile friendly. 48% of users stated that if a site does not work well on their smartphones, it feels like the company does not care about their business. 36% of users felt they wasted their time when they arrived at sites that was not mobile friendly. 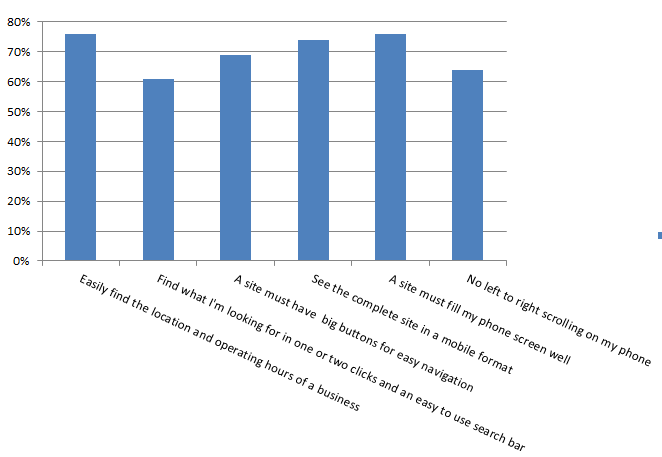 What do people want from mobile websites? These are some of the features people want most from mobile friendly websites. 76% of users want to easily find out the location and operating hours of your business. 78% of users want to be able to find what they’re looking for on your site within one or two clicks. They also want a search bar which is easy to find and use. 69% of users want mobile sites to have big buttons for easy navigation. 74% of users want the option to see the full, non-abbreviated website. 76% want mobile pages to fit their screen better. 64% only want to have to scroll up and down without the need to also scroll left to right. Another effect of this research: Google is now identifying responsive websites on their mobile search results, making it easy to ignore non-mobile friendly sites. As the statistics show, simplicity, easy access of information and smart design are key attributes to their mobile experience. While the research confirms that mobile users actively seek out and prefer mobile-friendly web sites – it’s a sobering reminder of just how users’ attitudes about businesses are influenced by the site experiences. 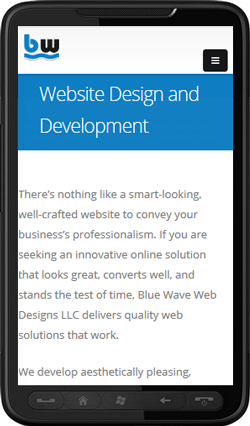 Having a great mobile site is a critical component of building a strong brand, nurturing lasting customer relationships, and making your website work for you.